By now I’m sure you’ve heard the importance of whole foods eating. So why are we all still having a hard time putting it into practice? Truth is, it can take more planning, time and money. Well I’m here to help you overcome these obsticles. So let’s talk about time savings. Stockpiling your freezer with whole foods ingredients is key! 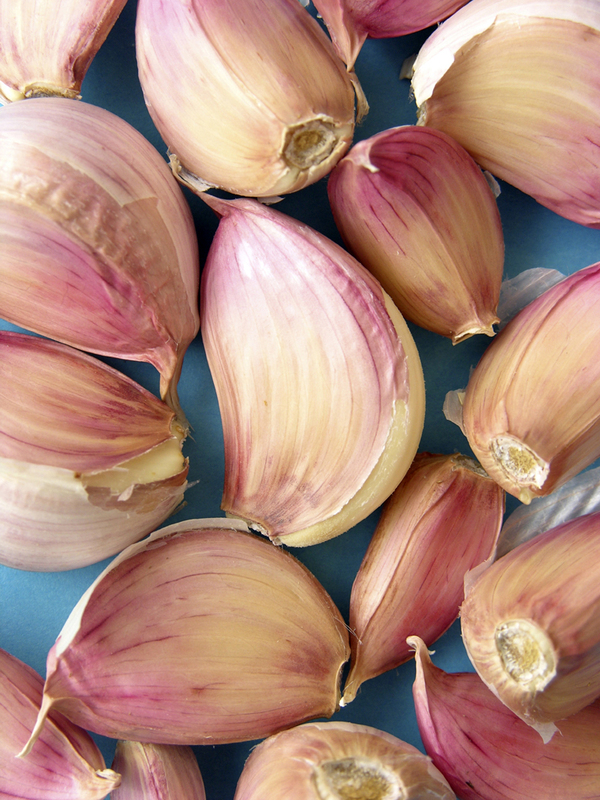 This recipe for roasted garlic is a great example. When I’m really busy or my toddler is pulling at me, peeling and crushing garlic seems like a chore. Sounds silly, I know, but every couple of minutes count! So what if you could spend 15 minutes of actual work ahead of time and then have roasted garlic for months that is already peeled and ready to cook with? As an added bonus, roasted garlic is sweet and subtle unlike raw garlic. And if you wait to buy the garlic when it’s on sale you’ll save a bunch compared to buying pre-roasted garlic! It may take a little more planning but it will in the end save you time and money. Preheat oven to 325°F. Cut top 1/4 inch off heads of garlic to expose cloves. Place garlic in small baking dish. Add oil and sprinkle with salt and pepper; toss to coat. Turn garlic cut side up. Cover tightly with aluminum foil. Bake until garlic skins are golden brown and cloves are tender, about 55 minutes. Cool. Squeeze garlic cloves from skins. Freeze in plastic bags.